The Habitat International Film Festival is back for its second run from March 23rd to April 1st, 2018, at the India Habitat Centre, New Delhi. Seeing the enthusiastic response last year that had film lovers asking for more, the number of screenings has been increased significantly. This season, there will be screenings through the day on all days of the festival, as opposed to just the weekends as earlier. 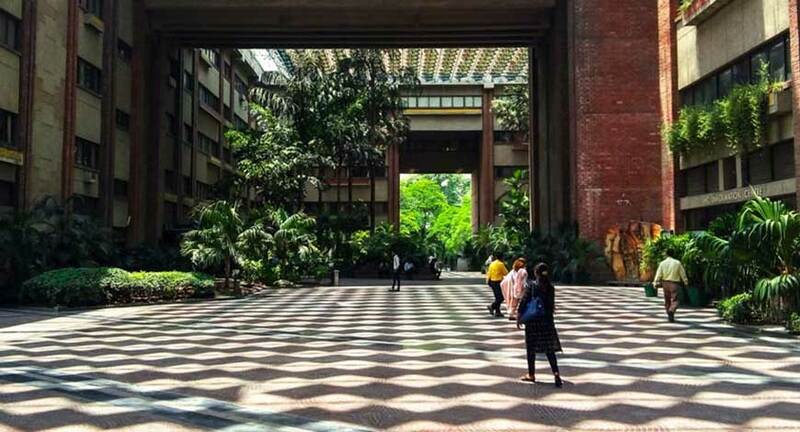 India Habitat Centre announces first international film festival and its free for all! While the 2018 Festival brings you the Best of 2017 films, some outstanding films that won awards in 2017 have also been included. The Festival opens on Friday-23rd Feb at 6:30 pm with A Man of Integrity the award winning film by Iranian director Mohammad Rasoulof, winner of Prize of Un Certain Regard at Festival de Cannes 2017 among other awards. The closing film on Sunday-1st April at 9:00 pm is the multiple award winning, Festival favourite Swedish director Ruben Östlund's The Square, a cutting sattire on the Swedish Art World. The film genres range from Drama, Comedy, Psychological thrillers, Science Fiction to Animation. There is a special family and children's package on the closing weekend of 31st march-1st April with the Australian smash hit Red Dog and sequel Red Dog True Blue, among others. The line-up features over 60 outstanding films, documentaries and shorts. A pick of the Best of World Cinema that includes The First Lap(Korea/2017), Malila: The Farewell Flower (Thailand/2017), Pomegranate Orchard(Azerbaijan/2017), The Insult (Lebanon/2017), On Body and Soul(Hungary/2017), The Tokyo Sky is Always the Densest Shade of Blue (Japan/2017), The Zookeeper's Wife (Poland/2017), Loveless (Germany/2017), No Date No Signature (Iran/2017), Human Flow (USA/2017), A Ciambra (Italy/2017), to name a few.Some of the award-winning films of 2016 include Loving (USA),Kills on Wheels(Hungary), Fences (USA). Like last year, we have a NETPAC awarded film selection. These include The Home (Iran/2017), A Father’s Will (Kyrgyztan/2016),and the short film Not Yet(Iran/2016). The Retrospective this year brings a body of work of celebrated German Director Christian Schwochow. Representing a young and contemporary face of German cinema, he has a wonderful body of work that has won International acclaim and appreciation. The Retrospective section kicks off on Sunday 25th March with Paula, Schwochow's 2016 film on German artist Paula Modersohn-Becker that topped the art house charts in Germany for weeks. Other Films in the retrospective includeIn the Middle, West, Cracks in the Shell and BornholmerStraBe. Another special feature of the Festival is the Ingmar Bergman Focus, which will be an added bonanza for film buffs. HIFF joins the worldwide celebrations that are seeing a yearlong celebration with a 100 events to celebrate the 100th birth anniversary of the Iconic Swedish film maker and Director. Bergman films being screened in this segment include Wild Strawberries, Persona, Autumn Sonata, The Seventh Seal and Bergman Island a documentary on Ingmar Bergman. Free entry passes can be obtained from the festival website (www.habitatinternationalfilmfestival.com) and the Programmes Desk, Habitat World, IHC, from March 6 onwards.